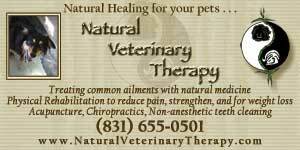 Becky Lewis has been a veterinary technician for over 30 years. In 2003 she became one of the first 32 people in the United States to receive her certification in canine rehabilitation. Dogs, cats and horses were always a part of Becky’s life. Her parents adopted a black Belgian Shepherd named Blackie, right before Becky was born. Becky says Blackie practically raised her! They were together all the time and slept together every night. For as long as Becky can remember, she knew she wanted to work with animals. In high school, she started volunteering at a veterinary hospital. The dogs that really called to Becky’s heart were the obese dogs, dogs with osteoarthritis and the geriatric dogs. Becky always felt that these were the dogs she could help and wanted to help. It was back then, as a teenager, that Becky first had the vision of one day having a facility to assist dogs with weight and mobility issues. She thought it might be like a “fat farm” for dogs. 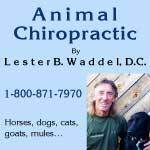 That was long before canine rehabilitation was even recognized as a field in the United States. Becky understood early on that so much of what she was seeing was preventable with education, and manageable or reversible with physical rehabilitation. She was definitely a woman ahead of her time. 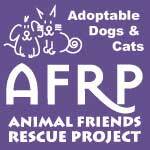 In the early 90s, Becky attended the first Forum for Animal Rehabilitation in Corvallis, Oregon. There were 300 animal-care professionals from all over the world at the gathering, but it would be another decade before anyone in the United States would become certified in canine rehabilitation. The University of Tennessee offered the first program for professionals to become certified as Canine Rehabilitation Practitioners. Becky was in the first class of students to successfully complete the program. To enroll, one had to either be in the veterinary medicine field or be a human physical therapist. It was a rigorous course with intensive case studies, written work, and 40 hours observing human physical therapists on the job. Canine rehabilitation had its roots in human physical rehabilitation, with methods being modified to serve our four-legged friends. To complete her case studies, Becky needed to start working with dogs. She started by utilizing a pool in Carmel Valley for her case studies through the referrals of local veterinarians in the Monterey Bay Area. The results Becky saw in the pool were inspiring, and motivated her to work toward establishing a facility for canine rehabilitation. For the next nine years Becky improved the quality of life for hundreds of dogs, and continues to do so. In September 2011, Becky’s dream truly became reality when she opened Motiv K9 Fitness Therapy, a state-of-the-art canine rehabilitation facility in Salinas, California. Motiv offers an in-ground, heated swimming pool, an underwater treadmill, a land treadmill, and a class-IV therapy laser, as well as equipment for various other physical rehabilitation modalities. Motiv is a full-service rehabilitation and fitness facility for dogs and is available for appointments five days a week from 9am – 5pm. Becky’s therapy clients consist of dogs recovering from orthopedic and spinal surgeries, dogs on weight-management programs, and geriatric dogs. 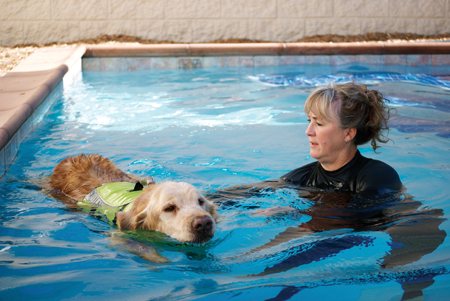 Motiv also offers swimming training for agility, as well as for active dogs. Becky incorporates noninvasive modalities to encourage and promote healing. She puts her heart and soul into helping every client. They become her extended family as she pours her love, energy, and healing techniques into each dog she works with. They become a part of her. Becky says the most challenging cases over the years have been the spinal cases, but they have been the most rewarding too. One such case was Barney, a Basset Hound, who came to her after a spinal injury that left him immobile in the hind legs for three months. His guardians were considering euthanasia. Fortunately, they were referred to Becky. It took nine months of rehabilitation, but Barney recovered fully and regained his ability to walk and was even able to do stairs. 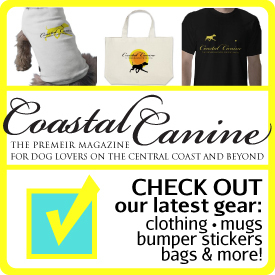 Those of us living on the Central Coast are fortunate to have this outstanding resource available to our dogs. For more information about Motiv K9 Fitness Therapy and Becky Lewis, call 831-272-4251 or visit www.motivk9.com.